CPA Exam Results. 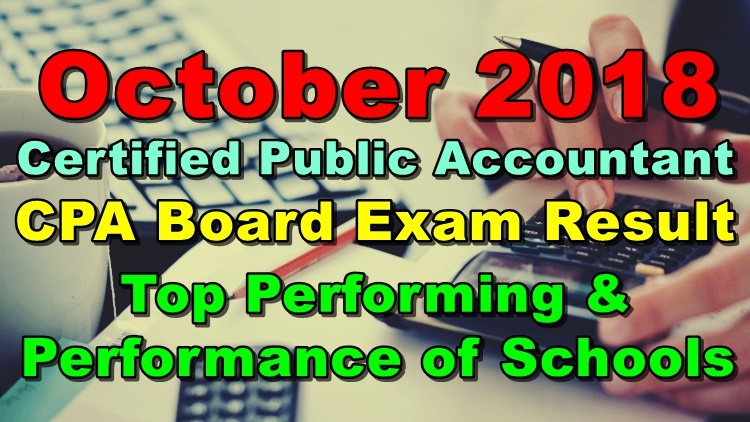 Here is the list of the results of the Certified Public Account board exam or CPA board exam conducted by the Professional Regulation Commission (PRC). Below are the CPA Exam Results – Full List, List of Passers, Top 10 Passers, and Top Performing Schools. 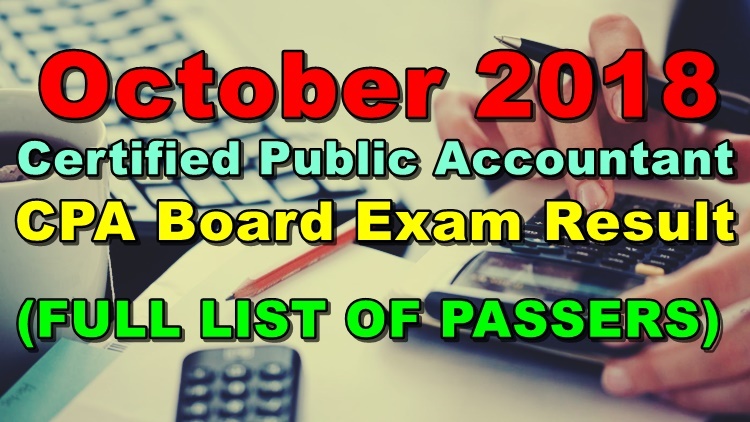 Here is the full list of passers for the CPA Board Exam Result October 2018 from the Professional Regulation Commission (PRC). The Professional Regulation Commission released the CPA Board Exam Result October 2018 including the list of passers, top 10 passers, top performing and performance of schools. The board exams have been administered by PRC Board of Accountancy (BoA) headed by its Chairman, Joel L. Tan-Torres and its members, Gloria T. Baysa, Samuel B. Padilla, Arlyn Juanita S. Villanueva, Thelma S. Ciudadano, Marko Romeo L. Fuentes and Gervacio I. Piator. The CPA licensure examinations have been given at various PRC testing centers in Manila, Baguio, Cagayan De Oro, Cebu, Davao, Iloilo, Legazpi, Tacloban, and Tuguegarao on October 6, 7, and 13, 2018. The official list of passers for CPA Board Exam Result October 2018 is expected to be released on Monday (October 22, 2018). The CPA board exam result might be released earlier or later than the target date without prior notice.